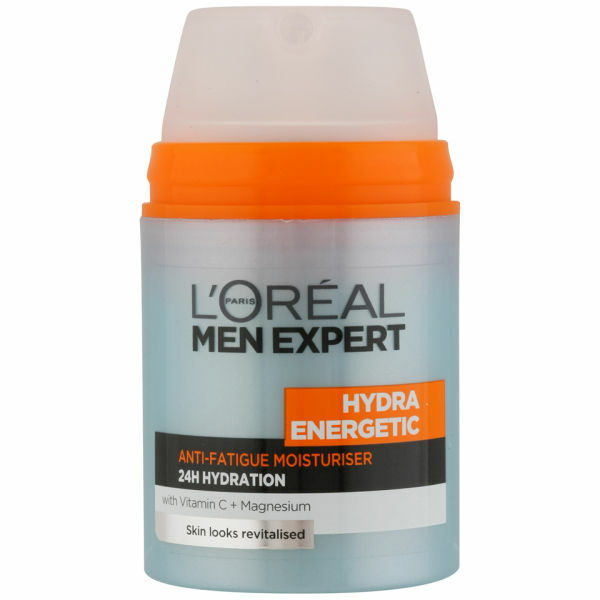 This Men Expert Hydra Energetic Daily Anti-Fatigue Moisturising Lotion by L'Oreal fights the 5 signs of fatigue, and gives your skin a daily boost of hydration as well as provides non-stop protection throughout the day. Take action with L’Oréal Men Expert Hydra Energetic Daily Anti-Fatigue Moisturising Lotion as it helps to reinforce your skin’s natural resistance with a fresh and hydrating formula designed specifically for men’s skin. After cleansing, apply a small amount of L’Oréal Men Expert Hydra Energetic Daily Anti-Fatigue Moisturising Lotion to your face and neck. Re-apply throughout the day as needed. I use L'Oreal Paris Men Expert Hydra Energetic Daily Anti-Fatigue Moisturising Lotion as my daily moisturiser. Leaves skin soft and nearly feeling as good as facial fuel for a fraction of the price. Highly recommend it.